The increasing human population has resulted in increasing pollution and degradation of water and biogeochemical cycles at a basin scale. Declines of water quality and biodiversity at a global scale are sobering evidence that the prevailing hydrotechnical approach in water management, focused on sewage treatment plants and regulation of hydrological processes such as floods and droughts, are crucial but not sufficient. To achieve sustainable water management it is necessary to develop a complementary new approach. This new approach should be based on the recent progress made in understanding the functioning of aquatic and terrestrial biota. Hypothesis H1: "The regulation of hydrological parameters in an ecosystem or catchment can be applied to control biological processes". 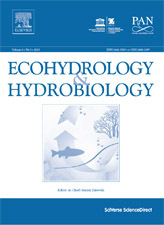 Hypothesis H2: "The shaping of the biological structure of an ecosystem(s) in a catchment can be applied to regulate hydrological processes". Hypothesis H3: "Both types of regulation integrated at a catchment scale and in a synergistic way can be applied to the sustainable development of freshwater resources, measured as the improvement of water quality and quantity (providing ecosystem services)". 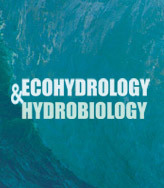 It should be stressed that according to the ecohydrology concept, the overall goal defined in the above hypotheses is enhancement of ecosystem carrying capacity for ecosystem services and resilience, resilience to anthropogenic stress. ECOLOGICAL (target): understanding of the evolutionarily established resilience and resistance of ecosystems to stress and patterns of ecological succession to increase their carrying capacity against human impacts. Zalewski, M. (Ed.) 2002. Guidelines for the Integrated Management of the Watershed. Phytotechnology and Ecohydrology. UNEP-DTIE-IETC, UNESCO-IHP, Freshwater Management series No. 5., Osaka, Siga, pp. 188. Zalewski M., Wagner-Lotkowska I. (Eds.) 2004. Integrated Watershed Management - Ecohydrology & Phytotechnology - Manual. UNEP-DTIE-IETC, Osaka, Siga, pp. 208. UNESCO IHP-VII: Water dependencies: systems under stress and societal responses.